Record-breaking cold is wreaking havoc and making headlines across the country, but it hasn’t fazed our North Dakota team. 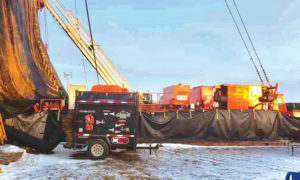 Custom tarping and heating systems are keeping our crews in the Bakken safe while preventing downtime from frozen equipment. 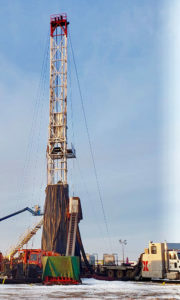 On our well service rigs, customized tarping keeps the derrick floor and snubbing basket—where our crews work—protected from the elements. 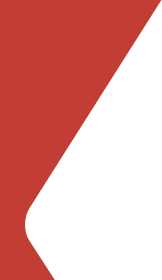 Several Tioga heaters deliver air warmed to about 80-90° F to various areas. 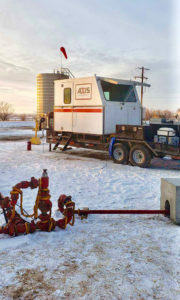 This system not only provides a suitable working environment for our crews, but helps keep equipment, flow lines and the well head from icing and freezing. In turn, the system prevents significant downtime, as frozen equipment and well points can take hours to thaw. 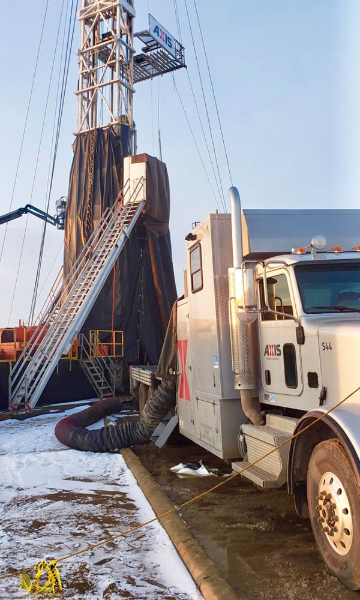 While frigid weather in the upper Midwest has made big news recently, our Bakken crews are accustomed to winter temperatures ranging from 0 to -30° F, with wind chills reaching -40 to -60° F at times. Axis is extremely proud of our team members performing completions 24 hours a day in this formidable environment.